Separate evidence has surfaced on how Stanbic Zambia limited bribed bailiffs to stop the execution of a high court judgment. 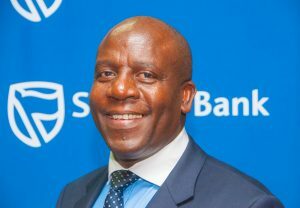 In 2016, the Lusaka High Court ordered Stanbic to compensate Savenda management ltd K192 million for negligently and wrongfully reporting it to the Credit Reference Bureau. After the judgement, Savenda engaged bailiffs to collect the money. Stanbic bank ltd immediately fired their lawyers Mwananshiku from MM Associates. It was at this point that Stanbic brought in Eric Silwamba and co after being advised that ‘if Eric Silwamba can’t do it, now one else can.’ This statement refers to Silwamba’s amazing ability to bribe judges. Silwamba told the bank that he can not lose a case as all judges were in his ‘pockets’. The bailiffs had already moved in to collect money as ordered by the court. Stanbic decided to neutralize the bailiffs with bribes. Thus, on 21 September 2016, Charles Mudiwa, who was the managing director for Stanbic gave Charity Mulongwe K75, 000. Charity Mulongwe works in the Loans Recoveries Unit of Stanbic. Her phone number is 0979485873. At Lunch hour, Charity Mulongwe met Fridah Kanyanga ar Radisson Blue hotel and gave her the K75, 000. Fridah Kanyanga is the deputy Sheriff of Zambia. The purpose of paying the boss of bailiffs was to make sure that she stops her juniors from enforcing the court order. On the same day, Stanbic head office ordered Manda Kabwe to urgently travel to Lusaka from Mufulira where she was working as branch manager. On 22 September 2016, she was given K50, 000 and told to deliver it to Mr Liyuwa, one of the bailiffs who were in the process of collecting money from Stanbic. Manda Kabwe’s mobile number is 0977135244. Mr Liyuwa’s number is 0977841721. Evidence of this corruption is traced to these numbers. On the same day 22 September 2016, Wezi Luhanga was given K80, 000 by Mr Mudiwa to go and give the two other bailiffs who were working on the case. On 23 September, bailiffs withdrew from Stanbic, this was far before the court appealed to the court of Appeal.